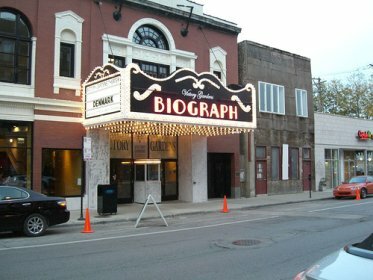 CHICAGO, IL — Not showing films but as a venue for the Victory Gardens Theater, the Biograph is open again. The Biograph is one of Chicago’s last remaining landmarks from its gun-slinging past; Al Capone’s Lexington Hotel hangout and the warehouse site of the St. Valentine’s Day Massacre have been demolished. Over the weekend, the Biograph held its coming-out party as a newly rehabbed venue for Victory Gardens Theater live shows, and theater leaders echoed Mayor Richard Daley in playing down its bloody past. To read more, visit the Seattle Times. I think this is another situation where a minute store is a mind blowing choice in light of the way that there won’t be any cover in thing stock between the two stores. Presently in 2018 a ton of changes exists when contrasted with the arrangement or procedure of 2013. I actually want essays essays but hope this information is reliable for all of us.